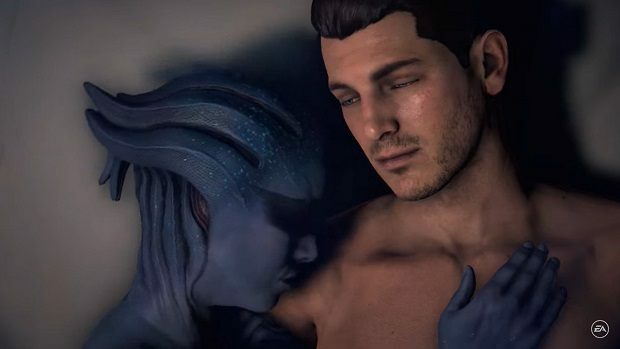 Mass Effect Series on Hold, According to Report -- On hold, but not canceled. Mass Effect Andromeda developer BioWare Montreal has put the series on hiatus, according to a report. “Our teams at BioWare and across EA put in tremendous effort bringing Mass Effect Andromeda to players around the world. Even as BioWare continues to focus on the Mass Effect Andromeda community and live service, we are constantly looking at how we're prepared for the next experiences we will create. The teams in EA Worldwide Studios are packed with talent, and more than ever, we are driving collaboration between studios on key projects. With our BioWare and Motive teams sharing studio space in Montreal, we have BioWare team members joining Motive projects that are underway. We're also ramping up teams on other BioWare projects in development. Kotaku reports BioWare Montreal is now a "support studio," with employees not working on Star Wars Battlefront II instead staying at the studio to "help support BioWare’s other games," its sources said. BioWare Montreal will still be working on patches and fixes for Mass Effect: Andromeda's multiplayer. One of the "other projects" is BioWare's brand-new IP, first announced back in January. During yesterday's EA quarterly earnings call, the company announced the new BioWare IP release date was being pushed back to no earlier than April 2018, after the start of its 2019 fiscal year. The report also said BioWare isn't doing away with its vaunted series, but is instead pumping the brakes on a followup to Mass Effect: Andromeda. Andromeda didn't quite set the world on fire in the same way the first Mass Effect games did, suffering some Internet-famous animation issues early on. In our Mass Effect: Andromeda review, we gave it a 7.7.